The latest Nintendo Download update for Europe has arrived (on time! ), and it's bringing new games galore to the eShop in your region. As always, be sure to drop a vote in our poll and a comment down below with your potential picks for the week. Enjoy! 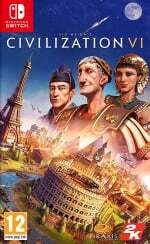 Sid Meier’s Civilization VI (2K, €49.99 / £44.99) - Originally created by legendary game designer Sid Meier, Civilization is a turn-based strategy game in which you attempt to build an empire to stand the test of time. Explore a new land, research technology, conquer your enemies, and go head-to-head with history’s most renowned leaders as you attempt to build the greatest civilization the world has ever known. Bibi & Tina – Adventures with Horses (TREVA, €29.99 / £26.99) - Ride as Bibi or Tina over hill and dale through the glorious countryside around Martinshof. Persistent training with your horse will constantly improve your riding skills. Face numerous challenges and demonstrate your strong nerves and sporting prowess in the decisive race in the maize maze! 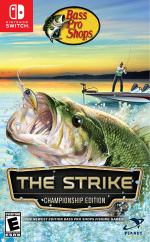 Bass Pro Shops: The Strike - Championship Edition (PLANET ENTMT, €49.99 / £44.99) - The game takes players to some of North America's most famous fishing hot spots and features eleven types of game fish including Largemouth, Smallmouth, Catfish, and Striped Bass as well as Northern Pike and Muskie. In addition, realistic lake bottom topography, advanced graphics, and authentic fishing gear from the Bass Pro Shops stores, all combine to offer virtual anglers the most comprehensive fishing game experience to-date. 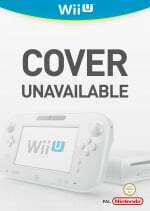 Cabela's: The Hunt - Championship Edition (PLANET ENTMT, €49.99 / £44.99) - Cabela’s: The Hunt is the most exciting hunting game to the Nintendo Switch. You will experience the thrill of the hunt while you stalk and kill your prey in some of North America's most famous hunting spots. 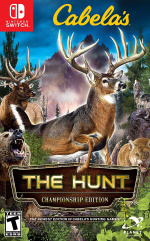 With local multiplayer, arcade mini-games and season hunt modes, Cabela’s: The Hunt is fun for gamers and hunters alike. Mahjong (Bigben Interactive, €9.99 / £8.99) - Play a Zen game! Rediscover the famous traditional Chinese game. Find all the matching pairs of tiles, being careful not to become blocked in, to get to the end of each level. Concentration and perceptiveness are needed to finish the boards that we have produced for you. Tinboy (Interactive Stone, €1.99 / £1.79) - A brilliant scientist creates a humanoid little robot. She then tests her creation by placing it in different environments. Using a special bow, the robot must reach the exit of every environment. Take control of the robot and solve the scientist’s puzzles. 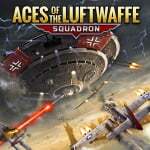 Aces of the Luftwaffe - Squadron Extended Edition (HandyGames, €24.99 / £21.99) - SQUADRON is an action-packed, vertically scrolling shoot ‘em up with a captivating and fully voiced narrative. 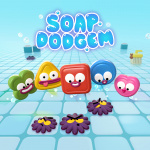 Dodge bullets, collect massive power-ups and wisely use special abilities as you defeat waves of enemies. Upgrade each member of your squadron with their personal skill tree as you level up. But don’t go to war alone! You can take on the Aces with up to 3 friends in an epic 4 player local co-op battle. Are you up to the task? Desktop Soccer (SAT-BOX, €6.14 / £5.42) - The desk is your field! Lace up your shoes for a simple yet challenging soccer game! Share the Joy-Coy with up to 4 people for a soccer free-for-all! Make your own original team by adjusting formations and positions! Aim to win the tournament! Palm Reading Premium (Crazysoft, €8.99 / £7.99) - You can use it to analyze, read and master your palm lines and palm fingers without knowing anything of hand reading/palm reading. Get analytics of your own palm or your friend's palm and reveal all its secrets and future. 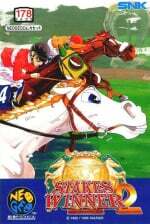 ACA NEOGEO STAKES WINNER 2 (HAMSTER, €6.99 / £6.29) - “STAKES WINNER 2” is a horse racing action game released by SNK in 1996. Choose your favourite of 12 horses and grasp victory in heated races! Control your horse like never before! Be wary, as jockeys who break the rules may be punished!! Make use of the controls, items and training systems to completely dominate the GI Races. Arcade Archives Atomic Robo-Kid (HAMSTER, €6.99 / £6.29) - 'Atomic Robo-Kid' is a shoot'em up game released by UPL in 1988. The player will control an atomic Robo-Kid sized robot and proceed into the underground dungeon to fight with enemies using several types of weapons. So enjoy various stages in the game whether you're exploring the dungeon using free scroll or playing the battle mode fighting with the enemy one on one. Destruction (COSEN, €8.99 / £8.09) - Be part of special forces and fly around the world! International secret organization H has planned terrorist attacks in various places throughout the world in order to destroy world order. Elite organized special forces have been gathered from all over the world to stand up and protect order! However, as they take action, smart movements such as "Project X" and "clone humans" gradually come to light. M.A.C.E. Space Shooter (EntwicklerX, €4.99 / £4.49) - M.A.C.E. is a classic 2D space shooter game. The player navigates a spaceship across three different worlds with 6 vertical scrolling levels and various enemies, trying to destroy or avoid them. Hidden items (weapons, bombs, energy), upgradeable weapons and accessories, such as rocket and companions help to defeat the enemy in difficult battles. Mimpi Dreams (Dreadlocks, €9.99 / £8.99) - Mimpi is a lazy doggy who becomes the “Superdog” in his dreams. Help him to save his friends by manipulating the environment of 7 original illustrated worlds in this charming mix of adventure, puzzle, and platformer. 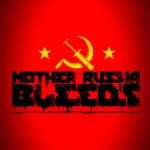 Mother Russia Bleeds (Devolver Digital, €12.74 / £11.46) - Mother Russia Bleeds is a co-op brawler overflowing with an unmistakable style and unforgettable action for up to four players at once. Set in an alternate U.S.S.R, the story centres on a desperate crew of imprisoned street fighters that must overcome an oppressive criminal authority through any means necessary. Battle solo or alongside friends in an exceptional story mode campaign or harden your resolve in the Survival Mode. 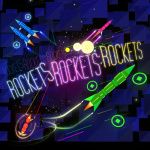 ROCKETSROCKETSROCKETS (Radial Games, €4.49 / £3.99) - ROCKETSROCKETSROCKETS is a game where you fly ROCKETS that rocket ROCKETS at other ROCKETS! The ultimate rush of arcade arena action, with the fluidity and amazing feel of soaring through space. Soap Dodgem (Zsolt Fabian, €6.89 / £6.19) - In Soap Dodgem your goal is to help your happy soap friends get back to their soap holders and clean as many mould creatures on the way as you can. Swamp Defense 2 (EntwicklerX, €2.99 / £2.69) - Swamp Defense 2 is a classic tower defence game with unique weapons and monsters as enemies for any beginner or defensive specialists. Fight countless enemies with a huge selection of gun turrets (in the form of comic heroes) and additional helpers (mines, air support, block wall) on more than 60 maps. Earn coins to obtain improvements in the integrated shop system and to buy new towers. 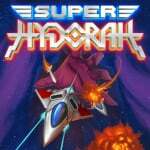 Super Hydorah (Abylight, €19.95 / £17.89) - An evil force has launched an invasion over the Omios star! Fly with the space fleet in a campaign to liberate planets, destroy enemy bases and discover the mysterious force behind the attack. Biomechanical enemies, space creatures, exotic planets and climactic threats are waiting for you, so select a route, equip your ship and prepare to die! Teddy the Wanderer: Kayaking (Forever Entertainment, €8.99 / £8.09) - Join two friends on a beautiful journey among nature! Teddy The Wanderer and his friend Piglet take advantage of the spring weather and go on a kayaking trip! Roam the colourful, hand-painted locations and meet Mr. Catfish, who needs a lesson in kindness! An unforgettable adventure that mixes fun and a healthy dose of learning. Our lovable characters solve numerous puzzles testing mathematical skills, eye-hand coordination, logical thinking and perceptiveness. Trailblazers (Rising Star Games, €29.99 / £24.99) - Get ready for high-speed thrills with an explosion of colour in Trailblazers, the first-ever second-to-second co-operative arcade racer. Paint the track as you go to dynamically change the racing line, boost on your team's colour and outwit the opposition in a sprint for the finish. The more you paint, the faster you can go! Circle of Sumo (Belka, €9.99 / £8.99) - Have fun with your friends with the great award-winning Circle of Sumo! COS is simple and compelling at the same time, with a lot of different challenges. It's pure fun! Take control of 8 different sumo wrestlers and challenge your friends on daring fights and sport based extra-games! Mars: Chaos Menace (BLG-Publishing, €9.99 / £8.99) - We are in the Terraforming age after saving our homeworld, Earth, which was collapsed by radioactive contamination and the depletion of resources. Now, humans are successfully colonizing nearby planets, using technology to adapt these inhospitable and hostile places. For the first time in our existence, we feel in harmony with everything. But our activity and progress has attracted huge and warp monsters that only wish to devastate and sterilize planets by destroying the whole way of life. SOLITAIRE BATTLE ROYAL (MAKING, €8.59 / £7.69) - Equipped with battle mode! Two-player battle mode compete for clear speed! Of course, you can play it carefully by yourself. Beginners are enjoyable too! There is also a mode that you can play easily! The tasks are 3000 questions! It is only a matter that can be cleared if it is done in the correct procedure. Collect the "collection" by clears to colour the game screen! The game screen decorated with "collection" can also be used on the competition screen. Joy-Con or play with touch! Play with your favourite style! Windstorm (EuroVideo Medien, €39.99 / £34.99) - Slip into the role of Mika and submerge into the fascinating world of the horse whisperer and her black stallion Windstorm. Discover the endless freedom of riding, sitting on the back of Windstorm. All around the estate of Kaltenbach, a wide variety of tasks are waiting to be solved by you. There is a lot to discover while exploring the surroundings of Kaltenbach on your own. Together with Windstorm, you’ll see locations that haven’t been seen before. 99Vidas Demo (QUByte Interactive, Free) - '99Vidas' is a brawler set in a contemporary world, that pays tribute to both the classic and the new in the gaming industry. Brought to you in 16-bit pixelated glory, chock-full of references to not only gaming but also 80's and 90's pop culture. '99Vidas' takes full advantage of modern era gameplay mechanics, making it the best of both worlds. Breakout Defense 2 (nuGame, €6.99 / £5.99) - Breakout Defense is a breakout game where you will face off against the computer opponent through 20 exciting levels. Do your best to defend your own blocks while at the same time aiming to destroy the blocks of the computer opponent. Pinball Breakout 2 (nuGame, €7.00 / £6.00) - Pinball Breakout is a breakout game which combines the game mechanics of a traditional breakout game and a flipper game. Play through 15 exciting levels as you aim for a high score. Insect Planet TD (RandomSpin, €2.99 / £2.69) - The distant space expedition to the Earth-like planet, finally ended. We came here for the purpose of colonization, but we are faced with alien creatures. We have no choice we must conquer this planet. Tower defence game. You have to mine resources during the gameplay. Simple cute graphics. Insect Planet TD (RandomSpin, €1.99 / £1.79) - The distant space expedition to the Earth-like planet, finally ended. We came here for the purpose of colonization, but we are faced with alien creatures. We have no choice we must conquer this planet. -Tower defence game. You have to mine resources during the gameplay. Simple cute graphics. 99Vidas - Definitive Edition (QUByte Interactive, €7.19 / £6.39, pre-order from 13/11/2018) - '99Vidas' is a brawler set in a contemporary world, that pays tribute to both the classic and the new in the gaming industry. Brought to you in 16-bit pixelated glory, chock-full of references to not only gaming but also 80's and 90's pop culture. '99Vidas' takes full advantage of modern era gameplay mechanics, making it the best of both worlds. ABZÛ (505 Games, €17.99 / £13.49, pre-order from 13/11/2018) - Immerse yourself in a vibrant ocean world full of mystery and bursting with colour and life. Perform fluid acrobatics as the Diver, using graceful swimming controls. Discover hundreds of unique species based on real creatures and form a powerful connection with the abundant sea life. Linger in epic seascapes and explore aquatic ecosystems modelled with unprecedented detail. Descend into the heart of the ocean where ancient secrets lie forgotten. But beware, dangers lurk in the depths. R-Type Dimensions EX (Tozai Games, €11.99 / £10.79, pre-order from 14/11/2018) - Fight through all 14 Bydo-infested stages in retro 2D graphics or shiny 3D graphics - and swap back and forth with the touch of a button 'on-the-fly'. The new 3D graphics are accompanied by fully re-imagined arrangements of the timeless R-Type music tracks! The classic game-play remains untouched while the new Infinite game mode allows continuous progression from game start to final boss... the Bydo will not evade you this time! 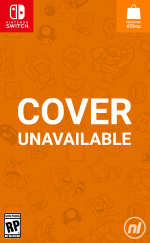 Both game modes can be played as single player or local multiplayer. Onimusha: Warlords (CAPCOM, €19.99 / £15.99, pre-order from 14/11/2018) - This version features higher resolution graphics, 16:9 widescreen support and modernised control options which make it easier than ever to enjoy the sword-based combat that stunned players worldwide on its original release. Akihabara - Feel the Rhythm Remixed (JMJ Interactive, €6.79 / £6.12, pre-order from 15/11/2018) - Take a trip through engaging music and intense puzzle action, set in Tokyo’s Electric Town! 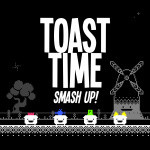 Stack blocks to build combos, tap in rhythm with the music to break them. Play through the campaigns, go for the high score! Coffee Crisis (QuibicGames, €7.99 / £7.19, pre-order from 15/11/2018) - Coffee Crisis is an arcade-style beat 'em up that pays homage to the 90's era of classic arcade and 16-bit brawlers. The Smurglian race has come to Earth and they're not leaving until they steal our most prized commodities: our metal music, the best coffee, and all of the WiFi. Get in the shoes of the only baristas on Earth with enough heavy metal in their veins to fend off this alien assault. Funghi Puzzle Funghi Explosion (D3 Publisher, €17.00 / £18.29, pre-order from 15/11/2018) - Easy to play alone and fun with a friend, this puzzle game is great for beginner or veteran alike. The rules are simple: gather up three of the same Funghi to make them disappear. Funghis will sprout on the log depending on how many blocks you've cleared. When the log is full, the Funghis will be loaded into a box, earning you points. GensokyoDefenders (UNTIES, €19.99 / £17.99, pre-order from 15/11/2018) - Use Traps and Spell Cards to fight back the magical masses in this Touhou Project fan game, now on Nintendo Switch! Blistering shoot-em-up action meets tactical tower defence as you choose from almost 20 popular characters to stop the fairy onslaught! Take advantage of their unique powers and a selection of tricky Traps to freeze, fry, and blow your enemies away! Plus, team up with a friend online and beat the tougher stages you couldn’t clear alone! ROCK BOSHERS DX: Director's Cut (Tikipod, €5.39 / £4.85, pre-order from 15/11/2018) - Young Queen Victoria is bored of royal life and has snuck off incognito to go adventuring on Mars. But oh no, she and her fellow adventurers have been locked up and forced to work the rocky mines deep underground. Help Victoria escape her captors’ dastardly plot, and try to find a way back home! Steamburg (Monster Couch, €4.99 / £4.49, pre-order from 15/11/2018) - The main character, professor Vincent Cornelius Moore, fights robots that invaded the city of Steamburg. The gameplay is unique – Vincent is unarmed, so he must choose his moves wisely. He can only throw small electro-bombs which lure the robots and halt their progress for a while. Vincent has to walk through the streets in such a way that the robot chasing him hits upon a Tesla coil and is destroyed. Zeus Quest Remastered (Crazysoft, €8.99 / £7.99, pre-order from 15/11/2018) - 'Zeus Quest Remastered' is a silly point and click adventure game with light-hearted humour. It combines Greek Mythology with Sci-Fi in a twisted way! You control Zeus (Boss of Olympus) which is a wacky character. He tries to fix a time machine to save the planet from an explosion. Everything happens in Greek mythology timeframe. The characters and dialogues are silly. There is English Voice over in some cutscenes. We use Vector art, a unique cartoonish style. Party Hard Pack (tinyBuild Games, €17.99 / £16.19, pre-order from 15/11/2018) - In Party Hard, you play as someone who is really tired of the neighbours having loud parties. The First Tree (David Wehle, €9.99 / £8.99, pre-order from 16/11/2018) - The First Tree is a third-person exploration game centred around two parallel stories: a fox trying to find her missing family, and a son reconnecting with his estranged father in Alaska. Players take control of the fox on a poignant and beautiful journey that crescendos at the source of life, and perhaps result in an understanding of death. Along the way, players can uncover artefacts and stories from the son's life as he becomes intertwined in the fox’s journey towards The First Tree. Monster Boy and the Cursed Kingdom (FDG Entertainment, €35.99 / £31.49, pre-order from 16/11/2018) - Can Jin save Monster World Kingdom? Help our young hero defeat challenging enemies, discover hidden locations, upgrade powerful equipment, and more! You'll also unlock special forms with unique skills used to open new paths where mighty bosses and secret treasures await. Hello Neighbor Hide and Seek (tinyBuild Games, €26.99 / £24.29, pre-order from 17/11/2018) - Hello Neighbor: Hide and Seek follows the tragic story of the Neighbor’s family in this dramatic prequel to Hello Neighbor. Experience playing a game of hide-and-seek with your brother as you both deal with a loss of a family member. The game explains events that lead up to the original Stealth Horror hit Hello Neighbor. The EU list? Is it Saturday already? Damn, ninja'd, I was just complaining about the usual delays a moment ago. That said, bears repeating - dat Runner3 discount. Sale of the week, hands down. Total no-brainer, grab it! Too bad there's no Puzzle Bobble, but maybe next week? @Bisylizzie I don't think so. They keep skipping both games and the list goes down, but ignoring those games. I don't know why. The poor 3DS eShop is basically just the DSi shop now. Breakout games and Tower Defence shows that a console is basically dead. Full Metal Furies (from another week) and, OH YES, some Pinball FX3 tables! 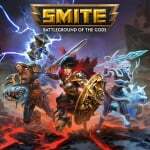 Is there no free-to-play version of Smite like there is on the other platforms? @Yamyum maybe it'll come later like Paladins? I don't think I'll be "dowloading" anything this week. But I don't be downloading anything either, my copy of Let's Go Eevee arrives tomorrow. Saving my money for a potential Black Friday sale on the eShop next week. Really good week: Civ VI is a must for me, Pokemon also looks quite good and Mother Russia Bleeds tickles my brutal bone. Pokemon sir sure!! I didnt downloaded but I pre-commanded it and I wait my copy tomorrow! Nothing for me, but I have Civ VI pre-ordered. Anyway, Runner 3 of course (if the price is correct. After all Wander song was only 10%. That's not enough!). Decided to cancel my physical preorder of Let’s Go Pikachu in favor of a digital pre-load because apparently Dreamland (Belgian game and toy store chain) thinks the concept of a preorder is a joke and decided to let me pick up my copy in 10 days. Scumbags. will get Civ 6 at one point, waiting for Warframe. Have hands full on Diablo 3 anyway (and still have not bought Dark Souls yet either). 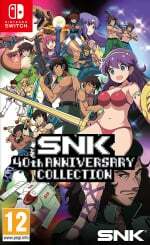 Physical SNK Collection for me! Awaiting the Limited Edition in the mail. 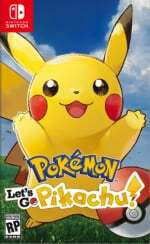 Yep I'm gonna go DL for Pokémon Let's Go Eevee this time, as it's not even a mainstream title, I'll go physical for the real-deal! Lot of indiecrap. Bring the shovels, guys! C’mon seriously... with game titles like Coloring Book, Mahjong and Soap Dodge they’re allowing just about anything on the store. Was interested in some fishing but not at that price! More backlog, only 3 weeks until Smash. European download on time eh? Does that mean Nintendo of Europe have fired that disgusting overweight, overpaid and bold slob who just sits at his desk all day,eating pizza and never bothering to wash his hands after taking a dump in the loo? @RehctahTteragram Oh sure, save me a slice. 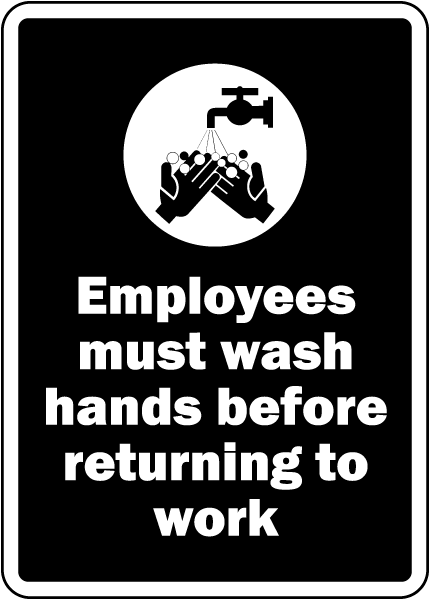 I have to put up this sign first. I’ve been waiting on discounts for Runner3 and Zen tables, so I’m glad my patience finally paid off. Looks like a big update for Runner3 will help my enjoyment too. 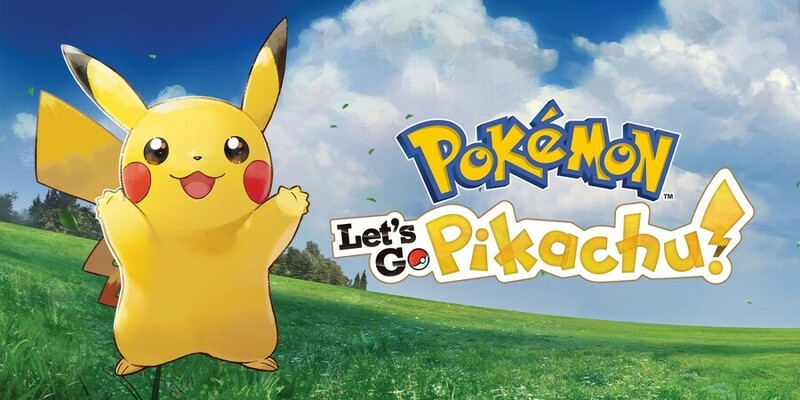 Pokémon Let's Go and discounted Runner3 for me this week. Awesome week! This is Switch's strongest week for me with a Pokémon game (finally, it took 1.5 years...) and Civilization VI (one of the best strategy series ever). I pre-ordered both physically but because of a supplier problem, I'll only get to play Civ VI this week. Civilization 6 for me, this is a great title, especially awesome in a portable mode, wish there'll be more TBS/RTS titles on Switch. New Pokémon is a joke, so dull & boring , can't stand to play it more than a hour, will play Ultra Moon instead, while waiting for a true sequel coming in the next year. Want to pick up Civ6 at some point, though only now I realized Switch version has a different box art. It's a shame, the old one with Atlas is really monumental. Gah, Super Hydorah! The original freeware version of Hydorah is one of the few games that I found so hard it wasn't fun in the slightest. A friend of mine reviewed it positively for a freeware focused price and mocked me for giving up – I mocked him right back for failing to complete even one Mega Man game.